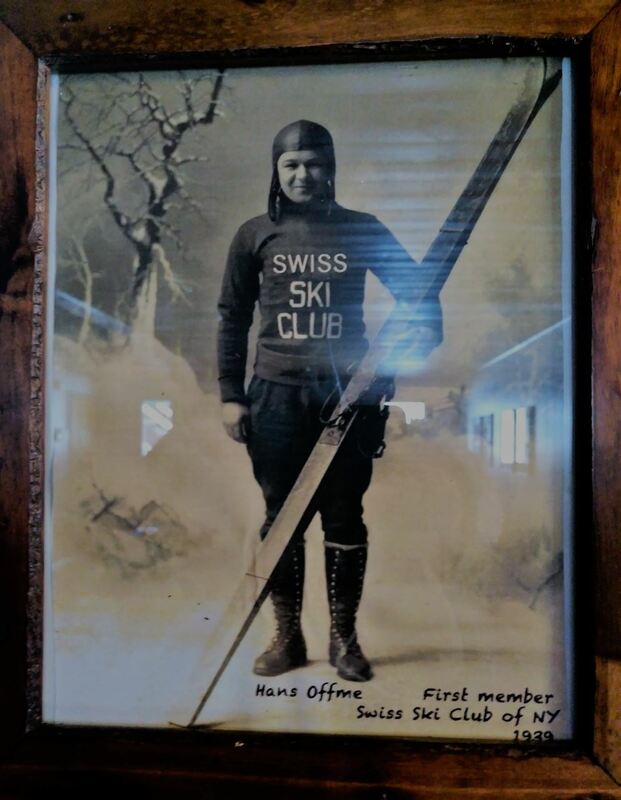 Why are we called the Swiss Ski Club of New York? In 1939, 21 friends in the NYC area formed a winter sports club to c elebrate their Swiss heritage. They spoke the languages of Switzerland and shared its customs. They often took day trips to the Berkshires and Catskills. 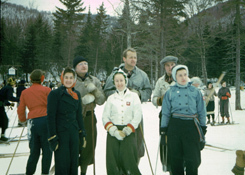 In the late Forties, skiing became more popular in America and more resorts opened. 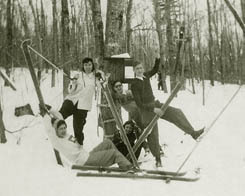 In fact, Mad River Glen, where we often ski, was one of the first and still has its venerable Single Chair! The Swiss Ski Club expanded and welcomed new members. Eventually the club included Am ericans of French, German, Polish, and Greek origin. As the club continued its expansion, it retained its Swiss heritage while becoming an even more international group. Today, members and visitors represent many national backgrounds from all over the world. During the '50s and '60s, the group rented houses of such dubious charms, that in 1972 our members decided to build the club a house of its own. Themselves. By hand. They thought it would be pretty easy. It wasn’t the "cakewalk" they expected at all! (The roof was finished just as the season's first snowflakes began to fall. The club succeeded at a heroic job! Since then, the club has added a fireplace and sauna, and continued to finish the lodge and enhance it, so it is now the quintessential ski club retreat!